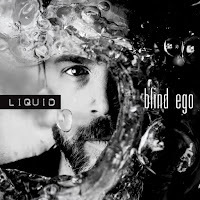 Liquid is the third album of the German prog rock band Blind Ego, better known as the solo project of RPWL guitar picker par excellence Kalle Wallner.His previous album called Numb was released seven years ago and that one was a great album with some amazing and stunning guitar work by Wallner. The new album Liquid is again filled with breathtaking guitar riffs, hooks and solos but it is also a more diverse and versatile album than Numb. Liquid contains nine brand new tracks and they are a mix of prog rock, hard rock, metal,symphonic rock and pop rock with highlights Not Going Away and Never Escape The Storm, the two longest tracks of the album. Wallner has called in the help of a couple of extraordinary musicians like: Ralf Schwager (bass guitar), Michael Schwager (drums) and three singers. On three songs you can hear Arno Menses (Subsignal), on one track you can hear Aaron Brooks (Simeone Soul Charger) and on four songs you can enjoy the voice of Erik Blomkvist (Seven Thorns and ex-Platitude). One of my favourites is also the instrumental track Quiet Anger, featuring heavy riffs, hooks, tempo changes and some excellent solos by Wallner. Not Going Away, as mentioned one of the highlights on Liquid, kicks off with melodic guitars and pounding drums; Dutch vocalist Menses delivers his best performance here, but it is the sheer brliliant guitar playing of Wallner that makes this song great. Never Escape The Storm is the longest song of the album and clocks just over eight minutes. It begins with semi-acoustic guitar picking before it eveolves into a melodic masterpiece with howling high guitar melodies and solos that will take your breath away. Blomkvist does a great vocal job here abd the melodies and the atmosphere of the song is sheer magic; play it as loud as you can!! Liquid is a wonderful album, better than Numb, and a must for RPWL fans, but also for fans of great melodic progressive rock music with the guitar as the centerpoint of the music.Highly recommended. 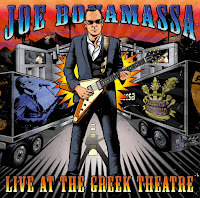 Joe BONAMASSA: "Live At The Greek Theatre"
Again a live DVD/CD/Blue Ray from the workaholic Joe Bonamassa? Yes, again and it is a fantastic album once more. This time the show is built around covers from the three Kings, Freddie, Albert and BB. Bonamassa's excellent big band also features horns and spectacular back ground singers and the set list is breathtaking. Take for example excellent blues tracks like Some Other Day, Some OtherTime, Lonesome Whistle Blues, Noboby Leaves Me But My Mother or Born Under A Bad Sign and you just want to hear and see more of Bonamassa as his guitar solos and vocal performance are almost out of this world. There are too many highlights on this excellent release but I have to mention Going Down (Freddie King), Let The Good Times Roll (Albert King) and of course the BB King classic The Thrill Is Gone. 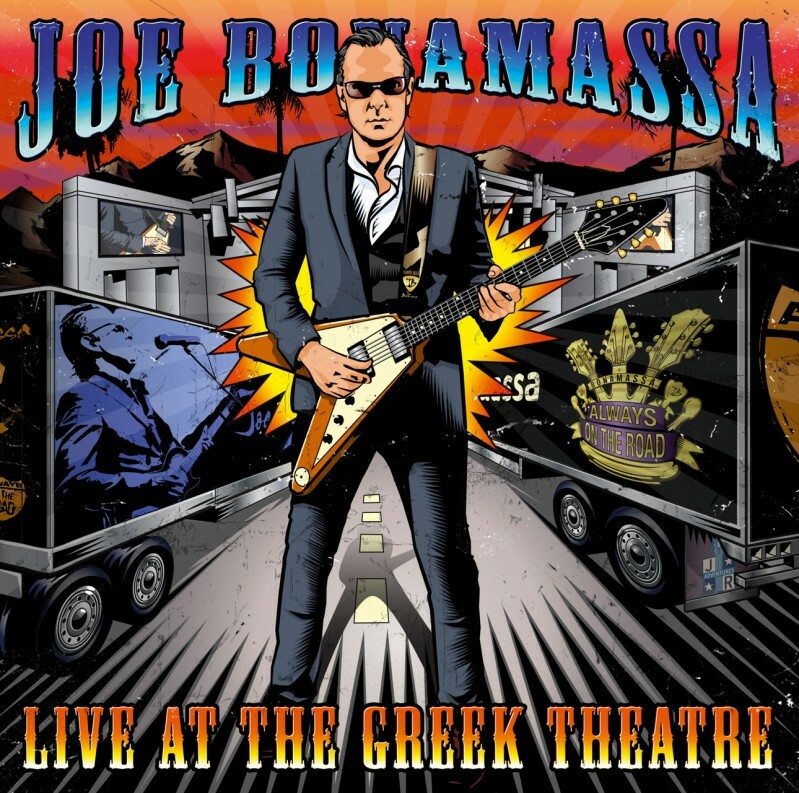 The sound of this album is more than outstanding and the band is superb, but most of all you will enjoy Bonamassa's love for the blues through his magical guitar playing. Play it loud and often!!! 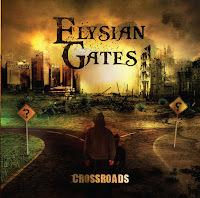 Crossroads is the second album of the Luxemburg female fronted prog metal band Elysian Gates and it features the "new" vocalist Noemie leer (ex-Rude Revelation). Leer is defintely a vast improvement for Elysian Gates, as her voice sounds crystal clear in the - maybe a bit too sweet/cheesy ballad - called Mary Ann, but she also sounds rough and raw and she even grunts (sad but true...) a little bit, for example in the song Far From Home. Crossroads opens with the instrumental title track, which sounds rather familiar and not really spectacular or surprising, but this decent opener is followed by one of the highlights of this album, namely the epic Far From Home, which clocks over 10 minutes and leaves you almost breathless after listening to it! Other musical "milestones" are: Broken Inside, HUman Infection, featuring a very catchy chorus, and the last track of this album called Open Gate. The sound of Elysian Gates can be best described as an excellent blend of musical characteristics from bands like Delain, Leaves Eyes and Tristania; meaning: up tempo, bombastic songs with lots of keyboard "walls" and melodies, great guitar solos and hooks, excellent vocals and a great variety in melodies. 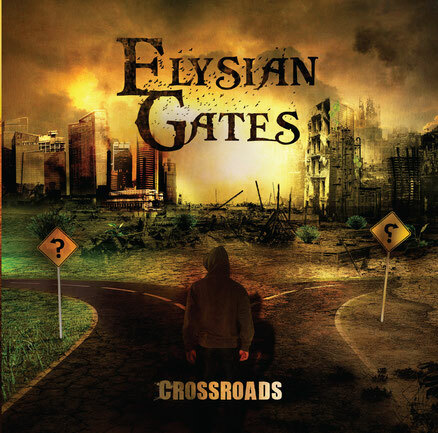 Crossroads is a great symphonic prog metal album which you should listen to more than once and then you might get hooked on Elysian Gates; be sure to check them out on stage in Eindhoven on 19 November!! In 2008 the American based Edensong released their debut album called The Fruit Fallen and that album got a couple of great reviews. 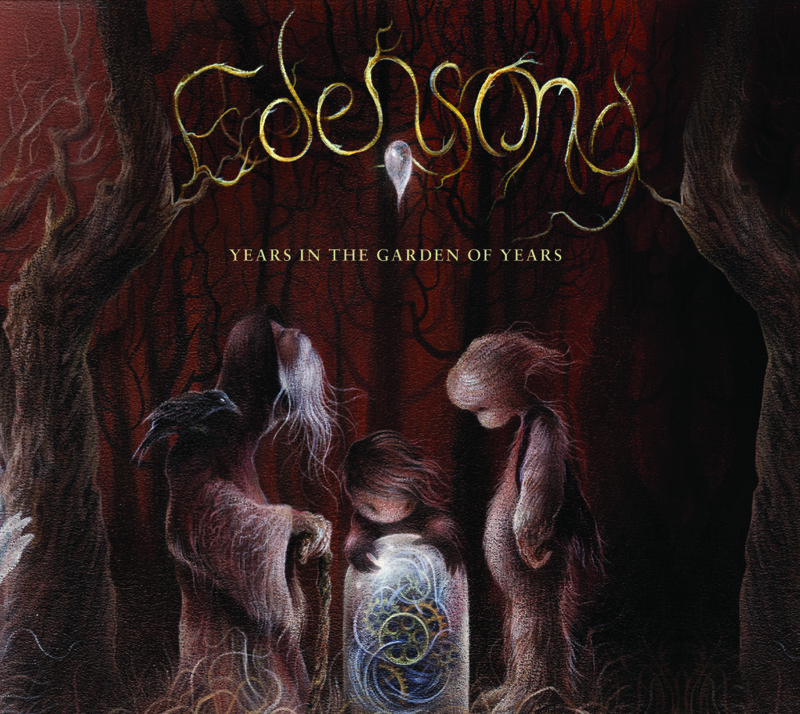 Edensong, formed eight years ago, uses musical elements from early prog "gods" like Yes, Genesis and Jethro Tull and this means that the music of Edensong consists of rather complex song compositions and structures and they also add lots of orchestral instruments like the flute, the violin and the cello. In my humble opinion Edensong uses the flute too often, as therefore their sound tends to become too folky for me. It took almost eight years to finish this conceptalbum wiith the rather obscure, weird title Years In The Garden Of Years and the songs on this new album are a bit more progressive than on their debut. If I would have to name the highlights of this album then I would pick the opener Cold City, Down The Hours and Yawn Of A Blink. The two instrumental songs on the album called End Times In Retrospect and Chronos are also worth mentioning, but again I have to say - I know I repeat myself - too much flute.... Edensong's music is without any doubt overloaded with emotion, melody and harmony, but it all sounds a bit too quiet, folky and "obscure" for me... 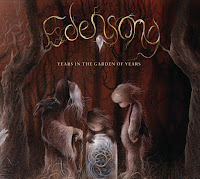 However if you liked Edensong's debut The Fruit Fallen, then Years In The Garden Of Years is defintely your cup of tea. Check it out and listen to the album with earphones on, then you might enjoy it even better.